A Holistic, Whole-Person Approach to Wellness, Eye Health & Vision Care! Let us help you Envision Your World! Your Behavioral Optometrist in Scarsdale, NY. Call us at 914-874-1177 today. Welcome to Samantha Slotnick OD, FAAO, FCOVD in Scarsdale. Dr. Samantha Slotnick and her Vision Team strive to provide the finest in optometry services. We invite you to browse our website to learn more about our optometry services. We welcome you: Become a part of our patient family by scheduling an eye exam appointment at our Scarsdale office. Samantha Slotnick OD, FAAO, FCOVD is a full service eye and vision care provider with a holistic, whole person approach. We take urgent requests for eye emergencies as well as scheduled appointments. Patients throughout the Westchester County area and beyond come to Samantha Slotnick OD, FAAO, FCOVD in Scarsdale, NY because they know they will receive the personal attention and professional care that is our foundation. Dr. Slotnick and our Vision Team are dedicated to keeping our patients comfortable and well-informed at all times. At Samantha Slotnick OD, FAAO, FCOVD, we will explain every exam and procedure and answer all of our patient's questions. Additionally, at Samantha Slotnick OD, FAAO, FCOVD, we offer vision financing options and will work with medical insurance providers to ensure good eye health and vision care for all of our patients. Our holistic, whole person approach to behavioral optometry makes Dr. Slotnick and her Vision Team the eye and vision care providers of choice in the Scarsdale area. Dr. Slotnick maintains strong relationships with health professionals and education specialists in our community for the purpose of developing your comprehensive, treatment plan with a multi-disciplinary perspective. With expert training in pediatric care, her warm and energetic spirit puts children at ease for a playful, non-threatening experience. Additionally, Dr. Slotnick is board certified in Vision Therapy and Vision Rehabilitation. 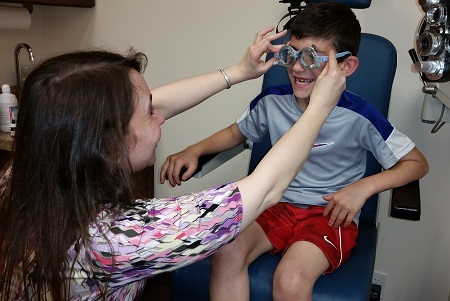 Our vibrant Scarsdale office balances the art and science of behavioral optometry, changing lives every day with Vision Therapy for children - and adults - of all ages. Looking to end The Struggle? Tired of searching for solutions? 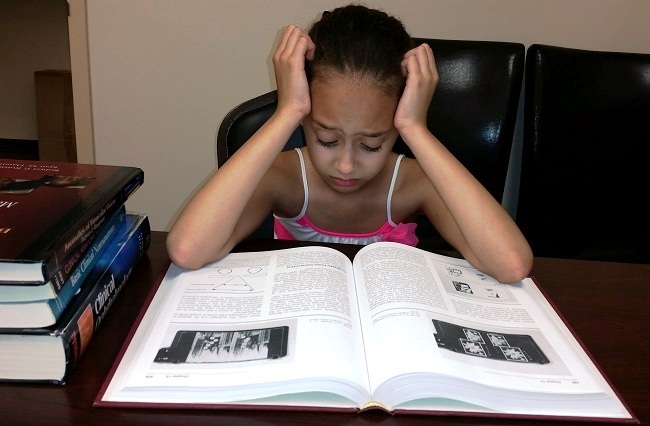 Assessments leading to diagnoses, but not to treatment plans? Vision plays an integral role in the learning process. make the most of this investment. Schedule your comprehensive eye and vision evaluation first. The right, customized glasses prescription* may be all your child needs to remove the blocks and interferences which keep success out of reach. so that you can Envision Your World. * Dr. Slotnick does not maintain an optical on the premises. Glasses may be prescribed, but the prescriptions are filled by your optician. For a complete list of services, visit our services page or call our Scarsdale office at 914-874-1177. At Samantha Slotnick OD, FAAO, FCOVD, we are dedicated to providing high-quality optometry services in a comfortable environment. Call us at 914-874-1177 or schedule an appointment today online.